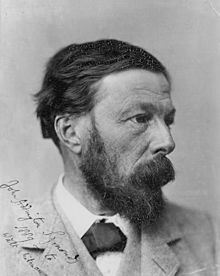 John Addington Symonds (October 5 1840 – April 19, 1893) was an English poet and literary critic. He was an early advocate of the validity of homosexuality. No seed shall perish which the soul hath sown. Of energies and hopes that can not die. Sonnet. On the Sacro Monte. Bloomed up into love again. This page was last edited on 13 January 2018, at 19:43.